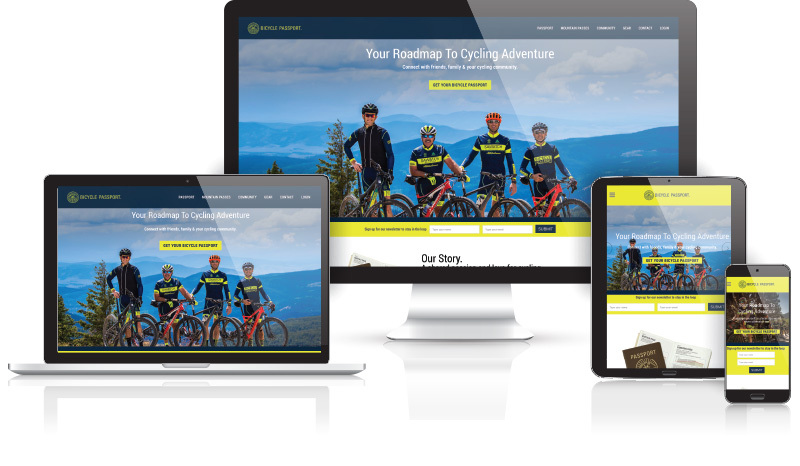 When Bicycle Passport approached us (via a collaboration with GrowthShift LLC) they knew they had a great product but weren’t getting the results they wanted through their website. This innovative company is leading edge in the bicycle industry and offers the experience of a lifetime. We worked with the folks at Bicycle Passport to redesign their home page (their most key page!) so that it worked for them in engaging prospective customers. The resulting new homepage does just that – the calls to action and rework of the user experience are resulting in higher clickthrough to the rest of the site. To improve the engagement even more, we added an email opt-in and some friendly challenges for the biking community.